White Haute Nights – Vestique on King St.
Charleston locals know that the heat of the summer season lasts well until the end of September. Young millennials will be sipping an iced pumpkin spiced latte by the pool soaking up the last rays of sun on their skin the season is so long. Because of this, Tabbuli feels there is no better time to spotlight Vestique and their American Girl Apparel line while summer is still here and fully thriving! This fashion boutique has been quickly growing with multiple locations styling women from North and South Carolina in Charlotte, Morrisville, Raleigh, Columbia, Greenville, and now Charleston. The show will kick off at 9pm with host Jaisee Alexander introducing the Boho Chic models. Music starts at 8pm by DJ Trevor D.
Grab yourself a cool infused summer cocktail and enjoy the summer nights while they last. Tabbuli is the hottest place to be on a Thursday. There are some weeks when you just wish you can go out for a night and leave behind reality. The theme for this week’s Tabbuli White Haute Night’s fashion show will help you do just that. Come out this Thursday, July 16th and escape into the 1960’s. You will soon find yourself in the middle of the Sterling Cooper advertising agency in New York watching the fashions of the women of Mad Men. Dandy Boutique of Charleston will be providing the looks to the women of JW Modeling to flaunt. Jaisee Alexander hosts at 9p.m. and music by DJ Trevor D will start by 8p.m. Come out and help us spotlight “Mad Women” while we celebrate fashion, have cocktails and enjoy dinner. We look forward to hosting you at the hottest place to be on a Thursday! 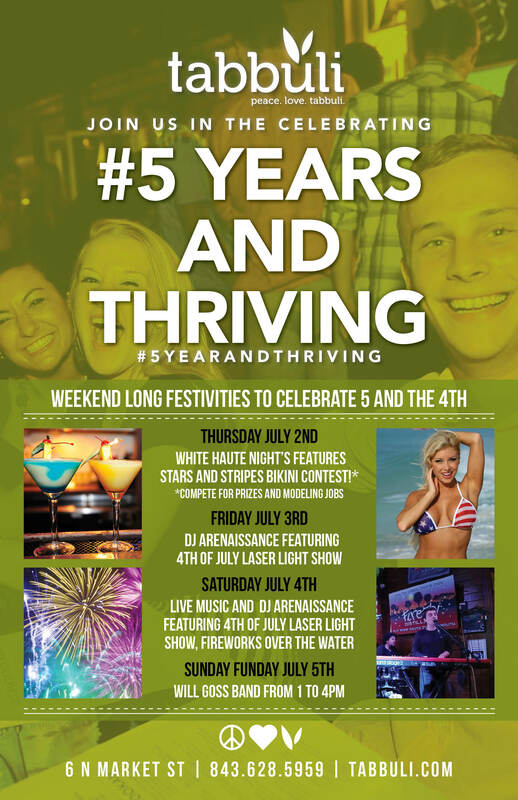 Tabbuli is celebrating a Five Years and Thriving week-long event by kicking off the weekend with an open bikini contest of White Haute Nights. Start your Independence Day off right by prancing in a fashion show this July 2nd. Come dressed in your best stars and stripes bikini and participate in Tabbuli’s White Haute Nights Fashion Event at 9pm. Music starts at 8pm and the show starts at 9pm. Friday July 3rd DJ Arenaissnace will be hitting up Tabbuli featuring a 4th of July laser light show that you won’t want to miss. DJ Arenaissnace plays through Saturday, July 4th and the laser show will continue. Fireworks over the water begin on July 4th and these fireworks are an event that you don’t want to miss. Will Goss Band begins on Sunday, July 5th as a Sunday Funday feature to the Five years and Thriving event. They begin at 1pm and will wrap it up around 4pm. Come out and get your seats early. No matter what you are doing this weekend, make sure you don’t miss out on what your friends are talking about when you come back on Monday. Tabbuli is the hottest place to be on a weekend! Fashion is inspired by many elements of past and present. Classic beauty icons such as Sophia Loren, Marilyn Monroe and Brigitte Bardot have influence on women today through the flowing hair, voluminous red lips, and curve revealing clothing. This pin-up style can be worn classic or with a modern day twist. 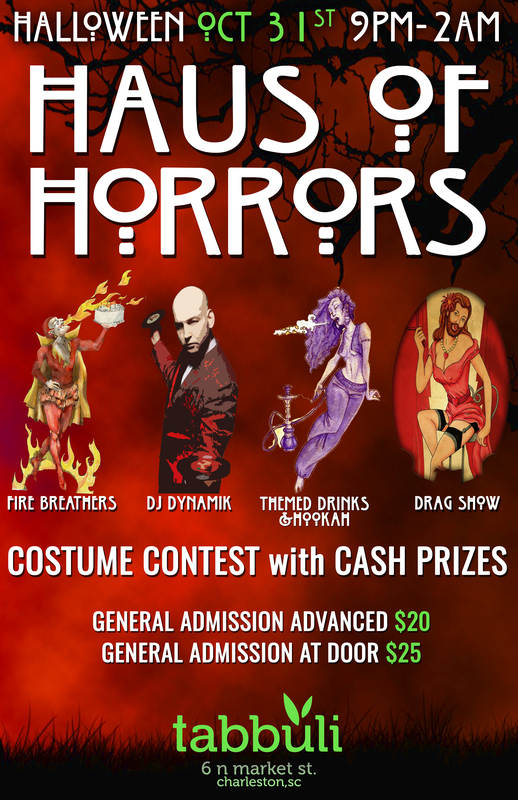 This Thursday June 25, White Haute Nights at Tabbuli downtown will highlight the Pin-Up Theme. Learn how to really showcase this look to the fullest, or simply throw hints of the modern version in with your everyday style. Your host Jaisee Alexander and DJ Trevor D will begin the sounds at 8pm. Models this week are from JWModeling and will be hitting the runway by 9pm. Effortlessly in style, “street chic” has recently been the go to look for any occasion on the East Coast. This classic fashion can be unique and comfortable if done right. From brunching with the ladies to drinks with your beau, this style seemingly does no wrong. 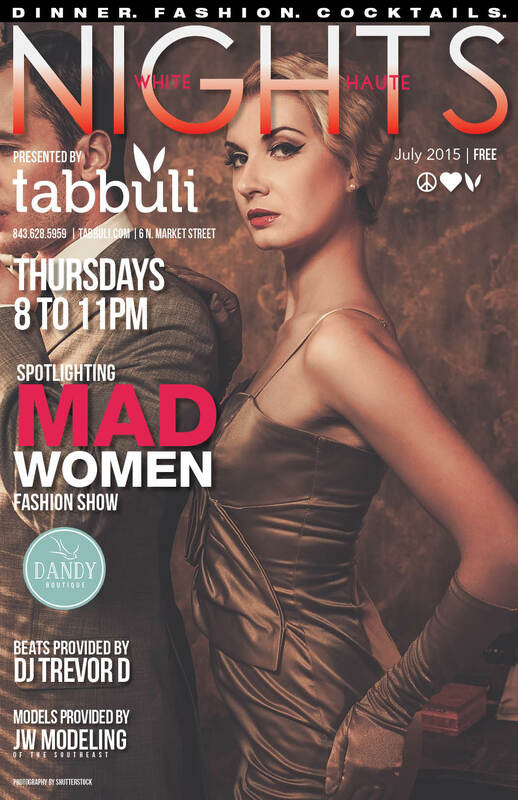 Tabbuli is happy to showcase exactly how to wear “street chic” this upcoming Thursday night. 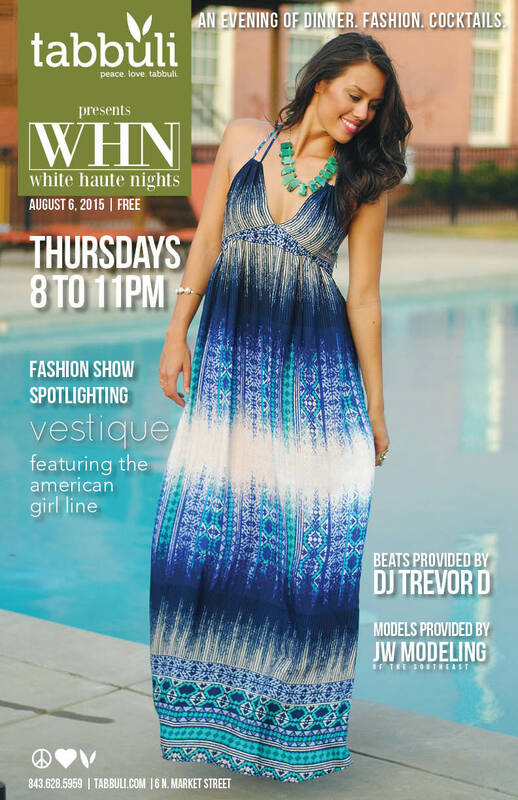 On June 18 beginning around 8pm, Tabbuli will start off their weekly White Haute Nights fashion show with a bang featuring beats from DJ Treavor D. Let the models from JWModeling and Tout Talent show you the best ways to take advantage of your closets and wear the “street chic” look right. Your host Jaisee Alexander will get the event started at 9pm sharp. Make sure you are there in time to order a cocktail and grab a seat. Come and enjoy some delicious Mediterranean food, infused cocktails, and entertainment to kick your weekend off early during the work week. Tabbuli is always the hottest place to be on a Thursday.